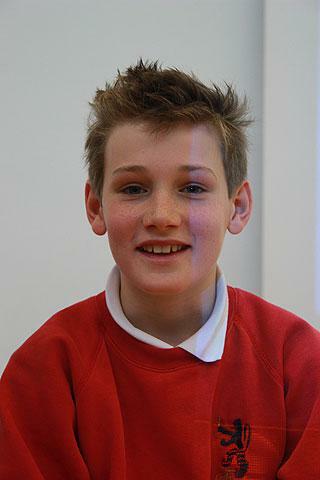 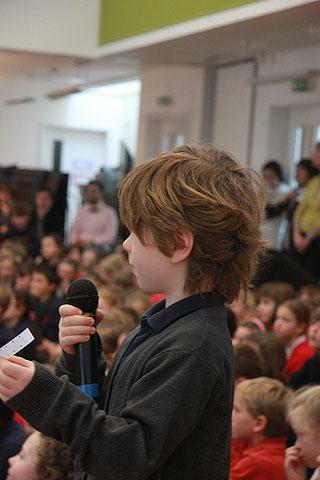 On Tuesday 5th March, Collis School Council held their own version of Question Time. 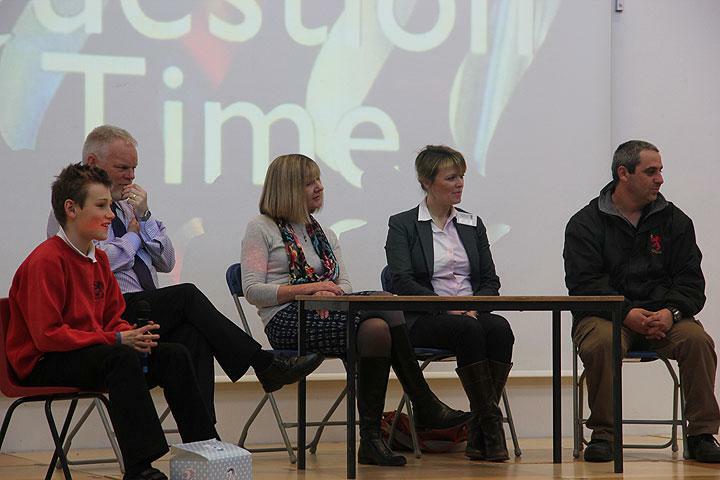 The panel included David Butterfield, Jane Way, Denece Hart (School Governor) and Raul (the caretaker). 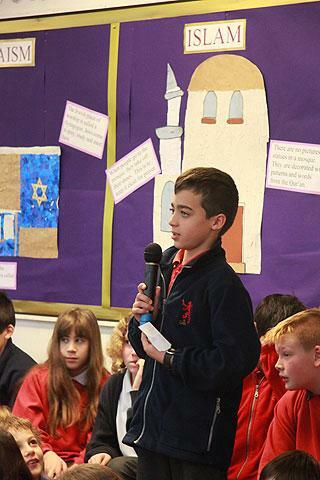 Children from all KS2 classes had the chance to ask questions to any member of the panel. 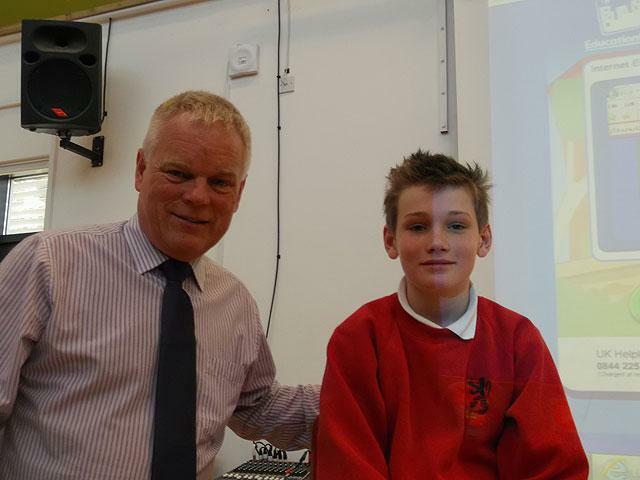 Alex McConnon (the Chairman of the School Council) did a great job of chairing the event. 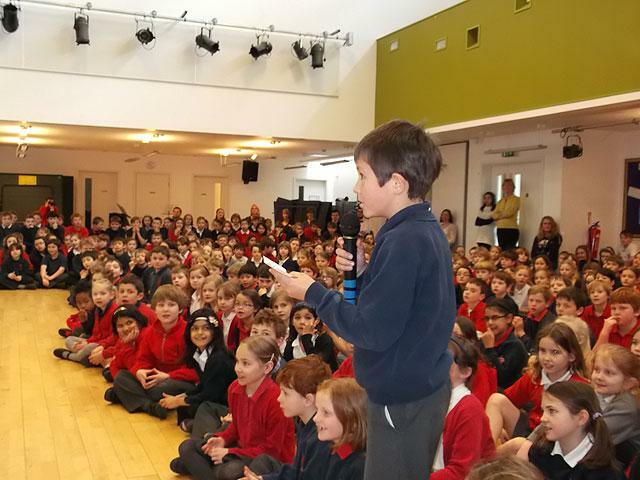 Questions included finding out about the role of a school governor, the background of the Collis crest as well as how Mr Butterfield became a Headteacher! 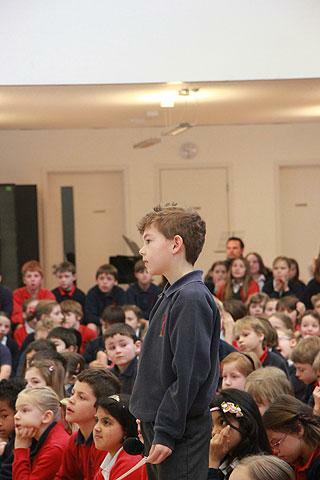 Overall it was a very interesting assembly and hopefully we can do it again in the future. 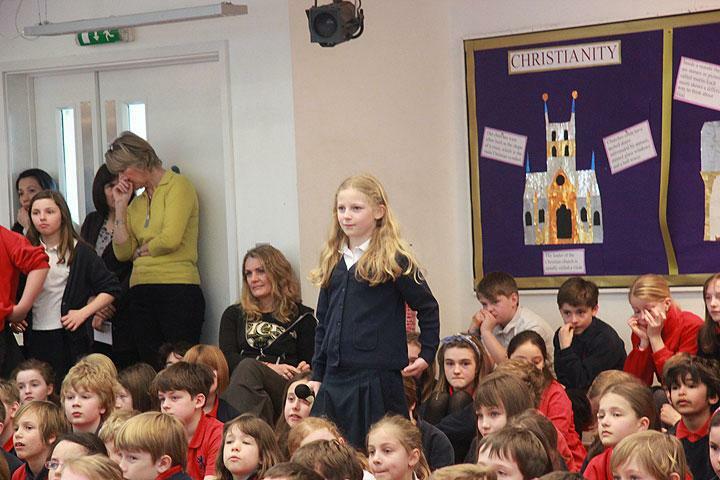 By Netanya Marston and Chloe Witney (School Council).